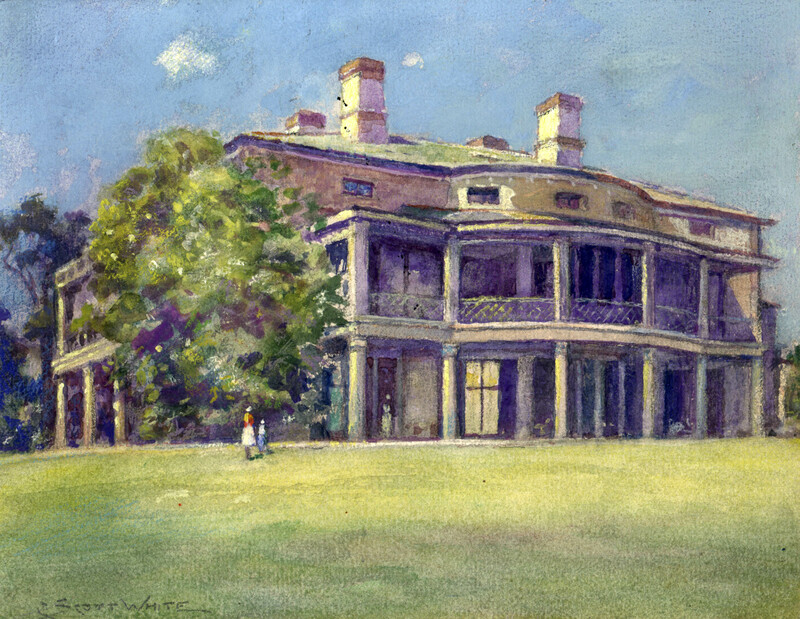 A painting from the Belmont Historical Society collection showing “Bellmont”, the 19th century estate built by the merchant John Cushing, from which the town took its name. 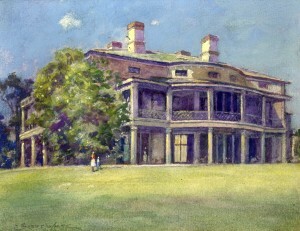 The Belmont Historical Society was formed in 1930 under the leadership of Jay Benton, a member of a prominent Belmont family. The Society became dormant in 1934 and was formally disbanded in 1954. In late 1964, a group of Belmont residents with deep roots in the community and a strong interest in preserving Belmont’s history and culture formed a committee to reestablish and revitalize the Society. The revived Belmont Historical Society was formally established on April 28, 1965 with John Weeks as its first president. By the end of that year, the Society had over 200 members. When the new Belmont Public Library was formally opened in October 1965, members of the Society welcomed visitors to the new Belmont Room (now the Claflin Room) that housed the Society’s collection of artifacts, memorabilia, pictures, and documents related to Belmont’s past. The Society now has approximately 275 members, 20 percent of whom live outside of Belmont. We have a variety of activities each year that are open to the public, and we always welcome new members.